In my book, Fretboard Theory, and also the related video program, CAGED System Chords: How to Easily Master the Chord Forms Used to Play Rock’s Most Iconic Rhythm Guitar Parts, I teach the CAGED method strictly as a system for learning chord shapes and arpeggio patterns. But sometimes you see instructors teach scale patterns along with it by combining each chord form with a related scale pattern. 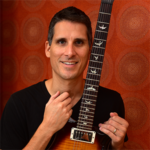 I teach how to combine the CAGED forms with pentatonic and major scale patterns throughout my Fretboard Theory guitar theory course, and I’m careful to point out that there are several ways in which these components can be combined. For example, the “C form” chord shape can be combined with either my major scale pattern 3, 5 or 1 depending on whether the music is in Ionian, Lydian, or Mixolydian mode. An “E minor form” chord shape can be combined with either my major scale pattern 5, 2 or 3 depending on whether you’re in Aeolian, Dorian, or Phrygian mode. You really need to work on combining chord forms and scale patterns on a case by case basis, and not rely on one system to use all the time. As far as how I number the scale patterns that I teach, there is no correlation between the CAGED forms and the numbers assigned to the pentatonic and major scale patterns. In fact, the pattern numbers are irrelevant. I only number them so that I can refer to each one specifically when needed. I used the numberings that I usually see other guitar teachers use, but the patterns can certainly be numbered differently. For example, some instructional methods start with what I teach as pentatonic pattern five and call it pattern one, and so on. 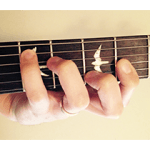 In the second half of the Fretboard Theory course (book two and its videos) I show you how to use CAGED chord forms and arpeggio patterns to target chord tones in your lead lines. This technique, called chord tone soloing, gives your melodies and solos more direction and helps you to connect scales more closely to their related chords and chord changes. Is the Guitar CAGED System a Bad Thing? 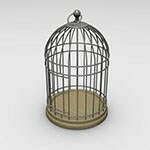 Hi Desi: I think the CAGED system is really useful for quick choices when soloing. It takes a lot of practice to visualize a chord shape or arpeggio over a scale, but I can see it is worth it. I am spending hours on FB Theory II Chap 8, Outlining chords and chord progressions. This is where it all comes together as far as chord and arpeggio shapes, and scales. That is one heck of a chapter! Hi Desi I just read your section in Fretboard Theory Volume II on “Detective Work”and determining not only the key of a song but it’s mode.I think you have explained it brilliantly. I would urge any intermediate or higher level guitarist who knows something is not quite right when they have started to solo, to read this! A revelation for me and thanks! I used the CAGED system to teach the chords, scales, and arpeggios similar to the way Bill Edwards uses them in Fretboard Logic. I only use his books as a jumping board those because he leaves gaps in music theory that have to be filled in by a qualified guitar teacher, or a very diligent student. For me the each chord, scale and arpeggio all correspond in each of the five position/ patterns available to us in the CAGED system. I teach them up the neck in one key, i.e. key of C, and then I use them to teach how one can play in any key on any place on the neck. There is some overlap, but that is where the extended patterns fill in, and the student after some time begins to find his or her own extended patterns. Thank you so much for all you work in guitar education. Your doing a great job, and I enjoy your work very much. I’d like to also create a method someday, so I can appreciate all the work you have put into this. I also appreciate that you are a Christian! Praise God for His work in your life! Thanks for sharing, Mel. How do modes fit into the CAGED system as you teach it? Hi Desi . As a long time player and teacher I use your videos as well as the two fretboard theory books. Just wondering where specifically in the materials I can find where you link the diatonic scale shapes directly to the caged system. I also am hoping you can tell me where your materials like the blues scale shapes with the flatted 6th to the five caged shapes. I use the caged system for all of my soloing, fretboard navigation and comping behind a singer. I touch on mixing CAGED shapes with scale patterns in Fretboard Theory, but I don’t specifically teach it as a system.